And the poor get poorer. But hey . . . it’s all so convenient and income-generating for the issuers. 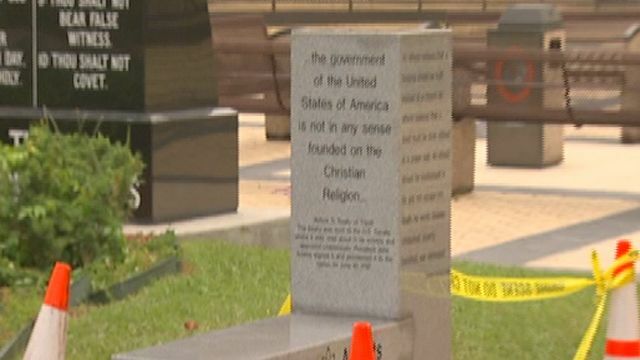 STARKE, Fla. – A group of atheists unveiled a monument to their nonbelief in God on Saturday to sit alongside a granite slab that lists the Ten Commandments in front of the Bradford County courthouse. As a small group of protesters blasted Christian country music and waved ‘‘Honk for Jesus’’ signs, the atheists celebrated what they believe is the first atheist monument allowed on government property in the United States…. [It serves as] a counter to the religious monument that the New Jersey-based group [American Atheists] wanted removed. It’s a case of if you can’t beat ‘em, join ‘em. Now let’s see if I’ve got this straight…. Because the hard-headed Christians of Starke, Fla., insist on keeping a Ten Commandments monument in front of their courthouse, on public land, despite its obvious violation of the First Amendment to the Constitution, a group of atheists based in New Jersey has decided to put up an “atheist” monument on the site as a counterweight. How exactly is thumbing people in the eye a way to make the world a better place? You know what this sort of behavior leads to? The Ten Commandments monument should be removed. And now, so should the atheist monument, which has no more right to occupy space in the public sphere than the monument it was designed to counter. Let’s take them both down on the Fourth of July. What a great way to celebrate Independence Day. 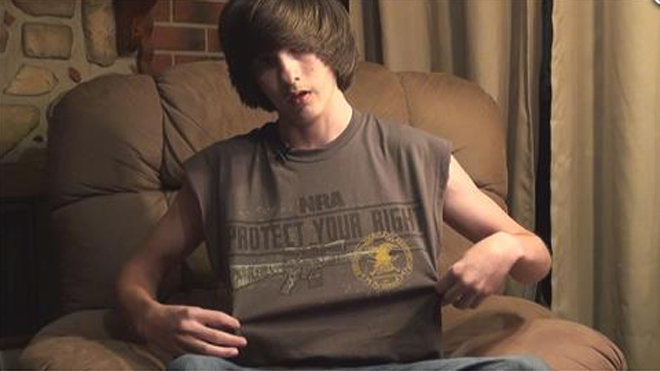 The West Virginia eighth-grader arrested after refusing a teacher’s demand he remove a National Rifle Association T-shirt he wore to school won’t face criminal charges after all. Jared Marcum, 14, was charged with obstruction following the April 18 incident after police who were called to Logan Middle School school said he refused to stop talking. The case generated national headlines, as Marcum’s family and attorney, Ben White, claimed the demand that he remove the NRA shirt violated his right to freedom of speech. On Thursday, Logan County Circuit Judge Eric O’Briant signed an order dismissing the charge. The kid should have taken off his shirt. Most schools have rules prohibiting “message” shirts and inappropriate clothing, and this clearly was qualified. But arresting the kid was just stupid. All it did was make him a hero. Paula Deen needs to give the self-pity a rest. The damage to her carefully built image is self-inflicted — nobody threw a rock — and her desperate search for approval and vindication is just making things worse. Sorry to be so harsh, but come on. Deen is tough and savvy enough to have built a culinary empire from scratch, in the process becoming the most famous Southern cook in creation. She incarnates the whole “steel magnolia” archetype, with razor-sharp toughness beneath the flutter and the filigree. Excellent piece by Eugene Robinson. 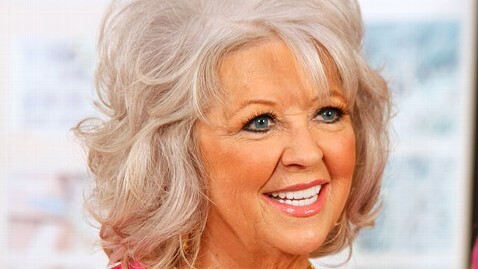 Paula Deen has to stop playing the victim. She was smart enough to make $17 million a year. How could she possibly be so ignorant? This was a self-inflicted fatal wound. It was cool, as media moments go, when President Obama called from Air Force One to congratulate the plaintiffs in the California gay marriage case on Wednesday. They were in the middle of a live television interview when the voice of the president was delivered, via cellphone, from high over the Atlantic. But it was also emblematic of the leadership style of this brainy, tightly drawn president: too often, he phones it in from 35,000 feet, far from the sweat, grime and blood of the battlefield of politics…. It’s the way he runs the executive branch, his fear of taking the fight to Republicans, that is so maddening…. [H]e’s defensive, forced to defend his presidency as still being alive and well. Obama doesn’t have to be Lyndon B. Johnson, twisting elbows to shape history. But maybe he can hire an L.B.J. Leaders find a way. This is essential reading today, because Egan is right on every point. Is it too much to hope that Obama finds time to read it? So what is Snowden? A self-aggrandizing geek who betrayed his country and his employer, Booz Allen Hamilton, exposed the United States to greater risk of terrorist attack, and may now — wittingly or unwittingly — have made his trove of secrets available to China and Russia, nations that are no longer enemies but are rival powers? Or a brave young American determined to fight — at the risk of long imprisonment — against his country’s post-9/11 lurch toward invasion of citizens’ lives, ever more intrusive surveillance, undifferentiated data-hauling of the world’s digital exhaust fumes (for storage in a one-million-square-foot fortress in Utah), and the powers of a compliant secret court to issue warrants for international eavesdropping and e-mail vacuuming? As the old Miller Lite ad used to say, I feel very strongly both ways. This is an excellent analysis. Make sure to read this today. Watch the video. Nuf said.